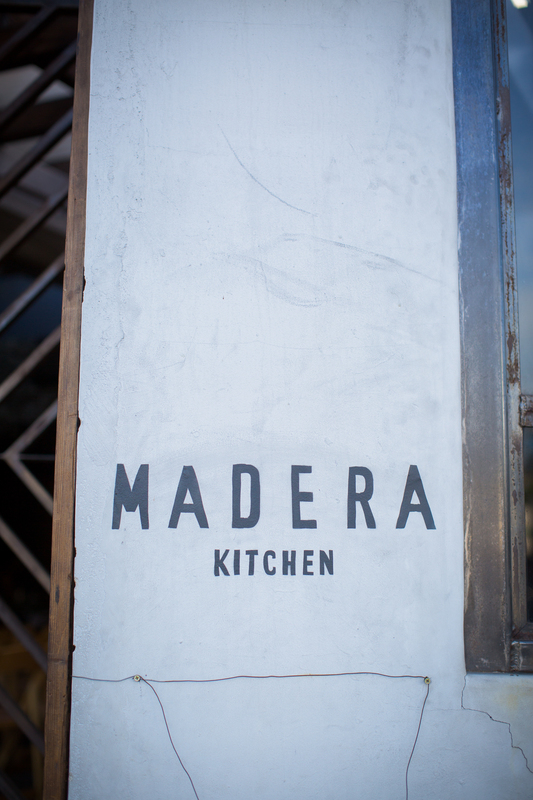 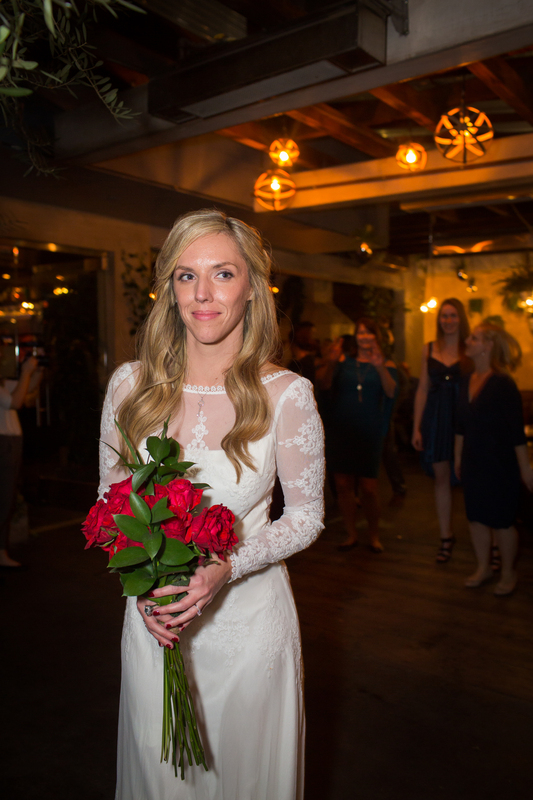 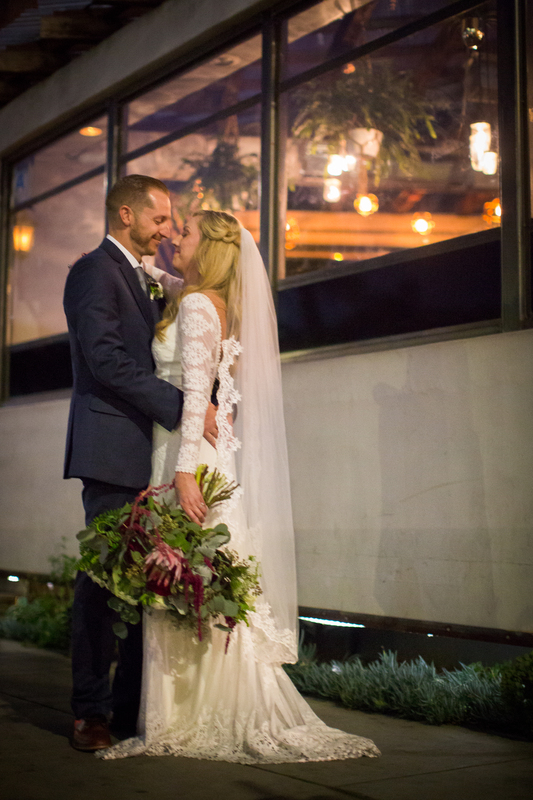 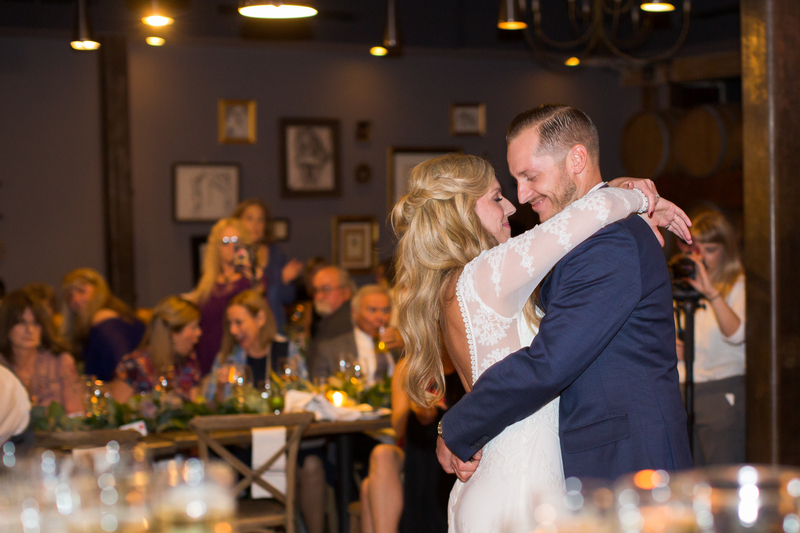 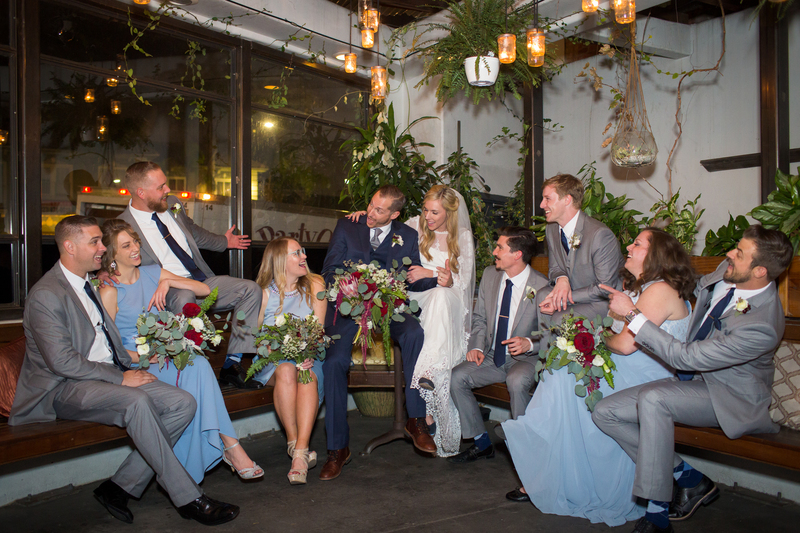 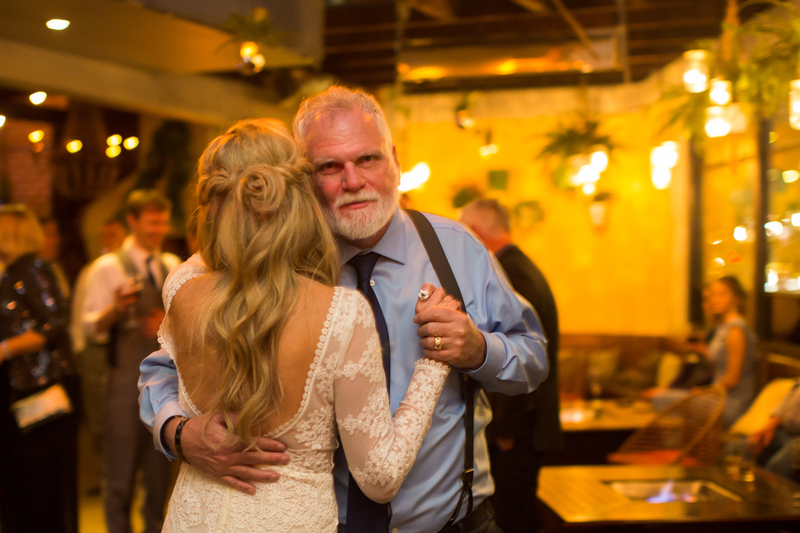 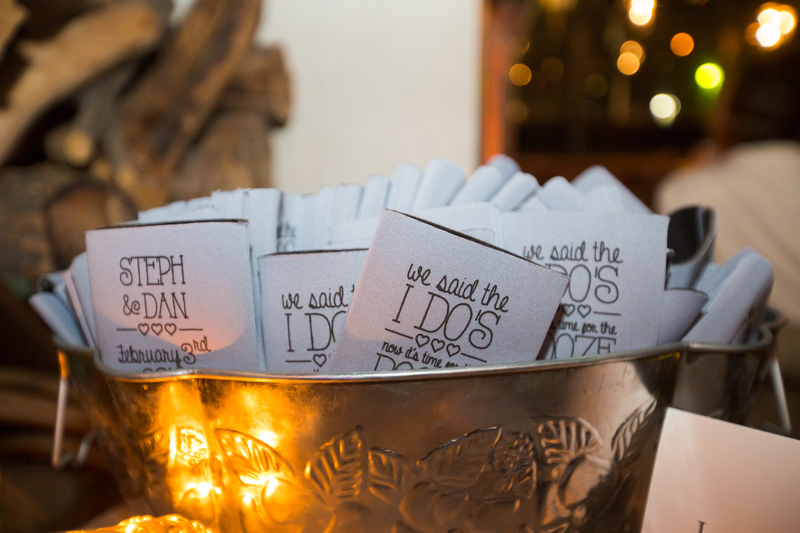 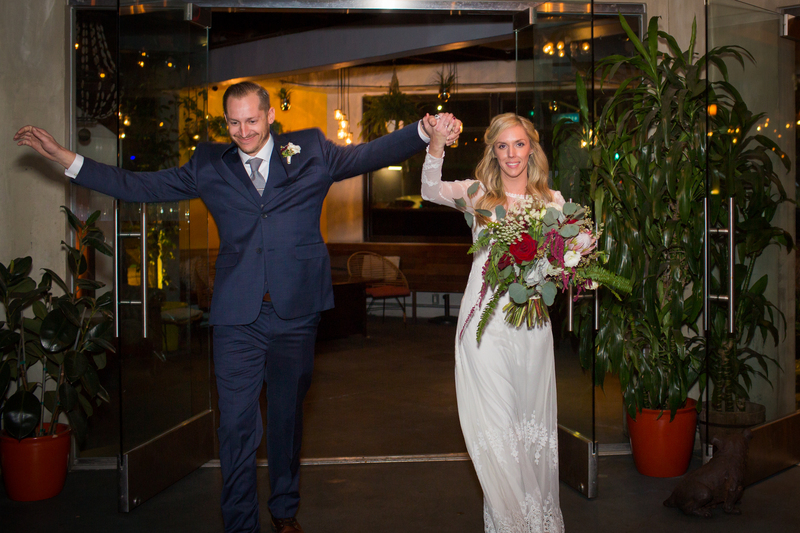 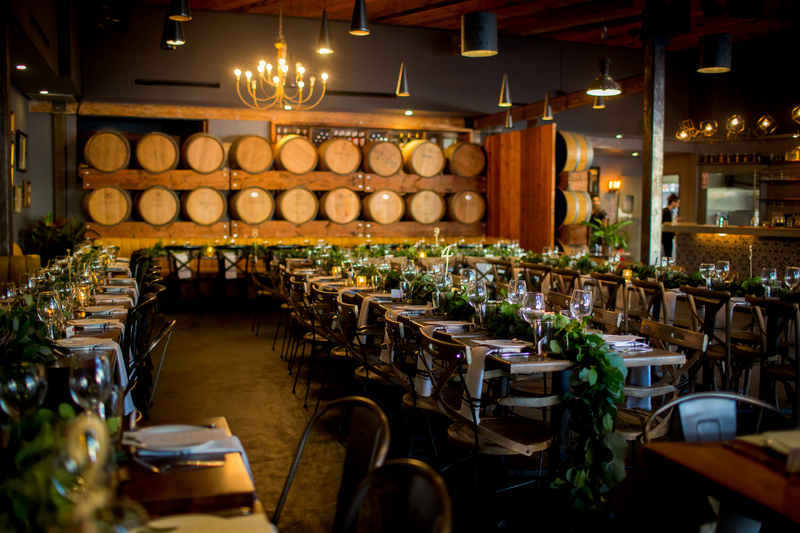 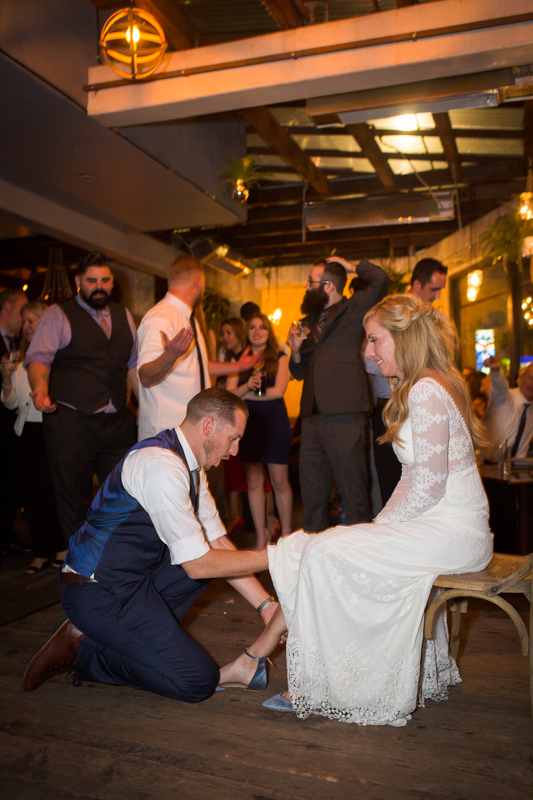 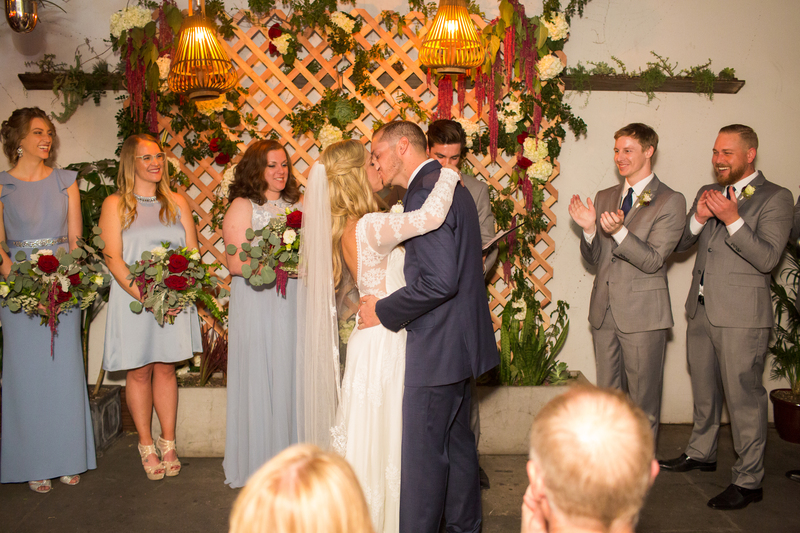 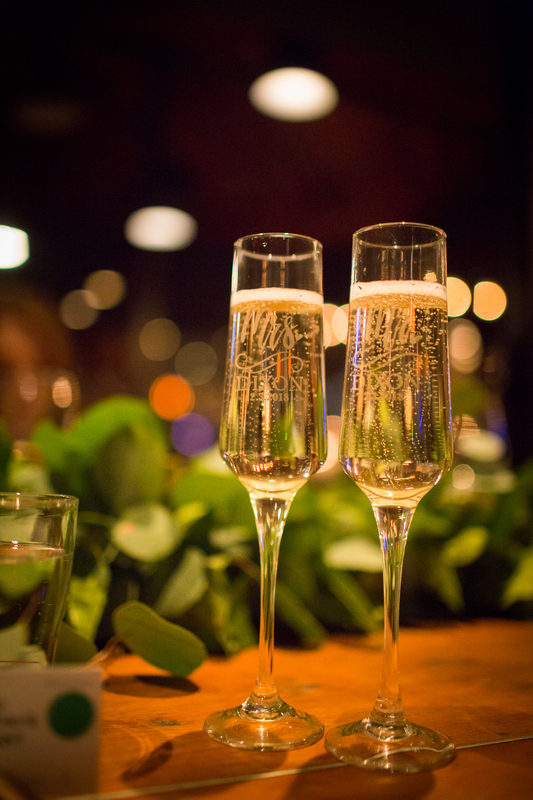 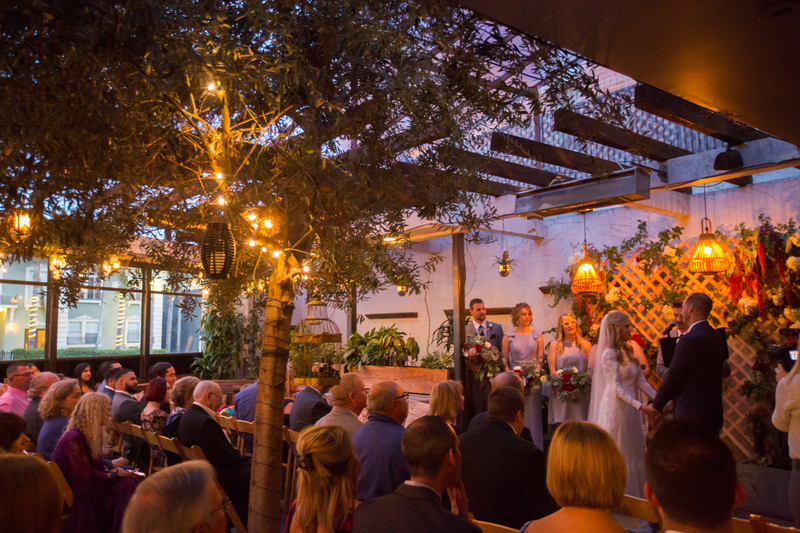 Stephanie and Dan were wed at Madera Kitchen in a beautiful vintage style ceremony surrounded by their family and friends. 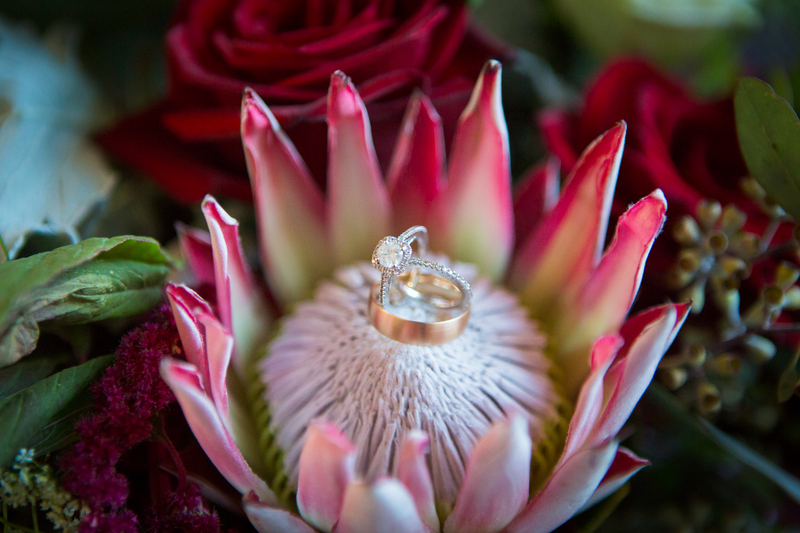 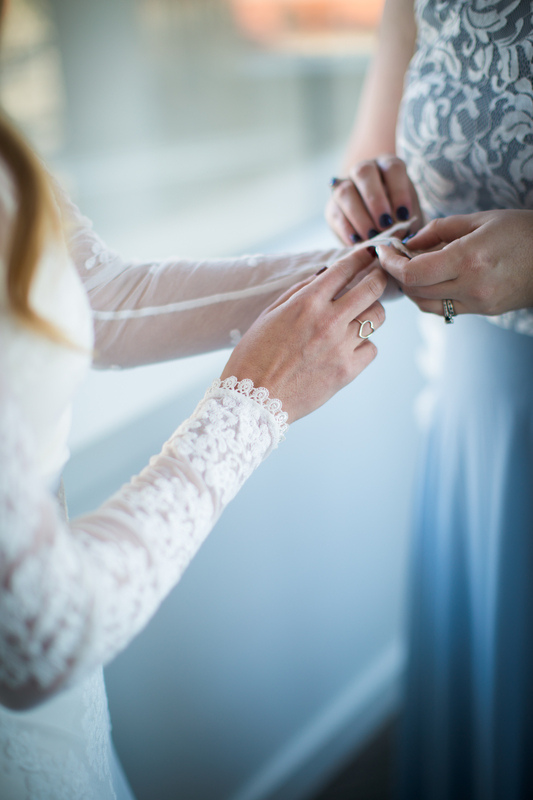 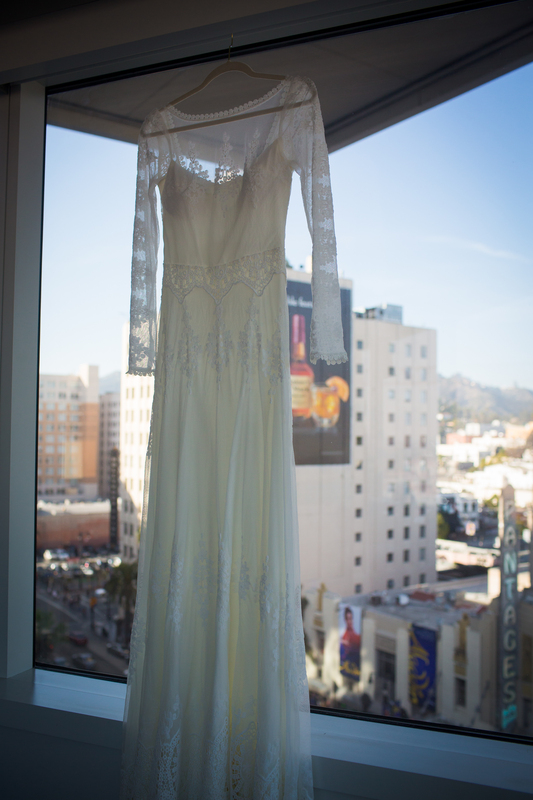 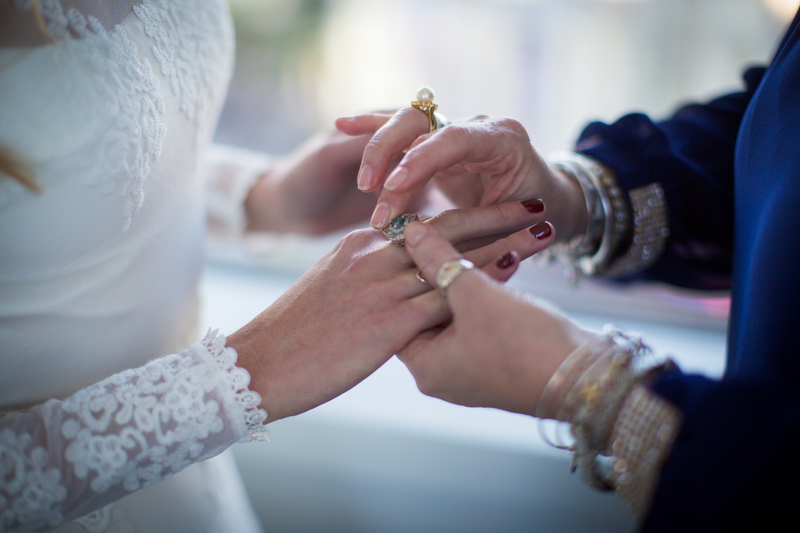 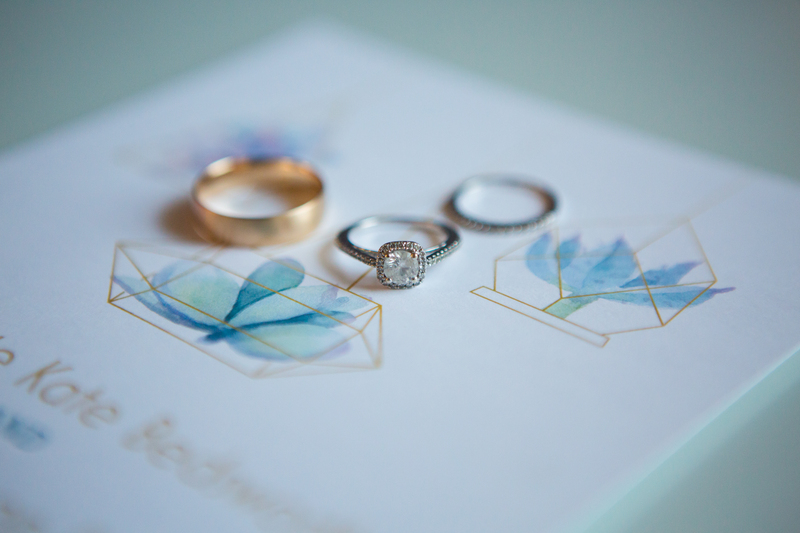 The couple began their big day by getting ready at the W Hotel in Hollywood. 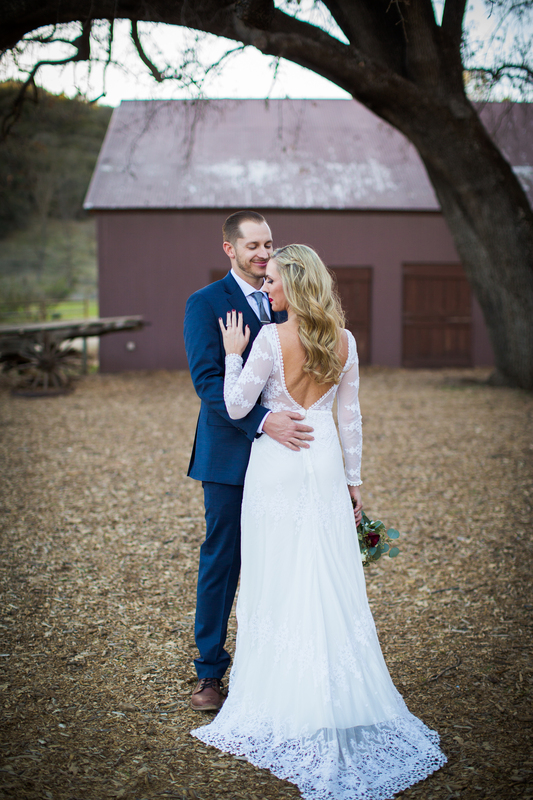 Stephanie wore a long sleeve lace dress with blue velvet flats that complimented Dan’s deep blue tuxedo. 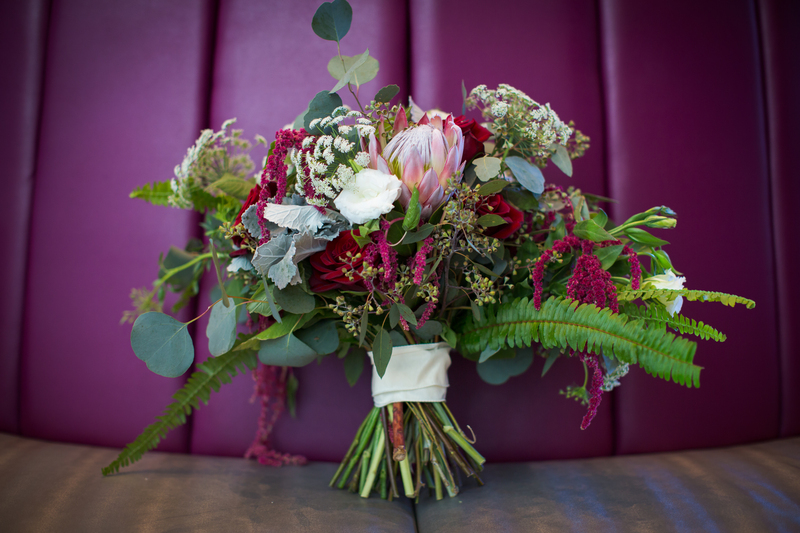 The neutral palette looked elegant against the bright red flowers that were in the bouquets and on the backdrop for their ‘I do’s’. 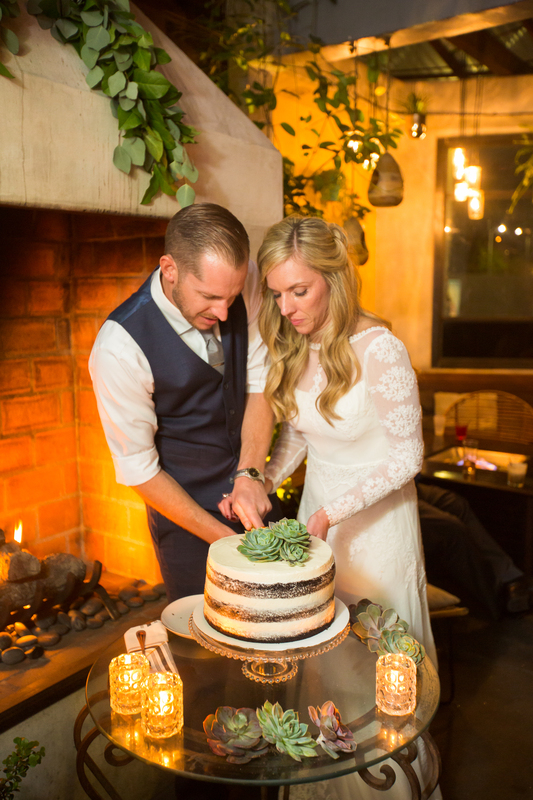 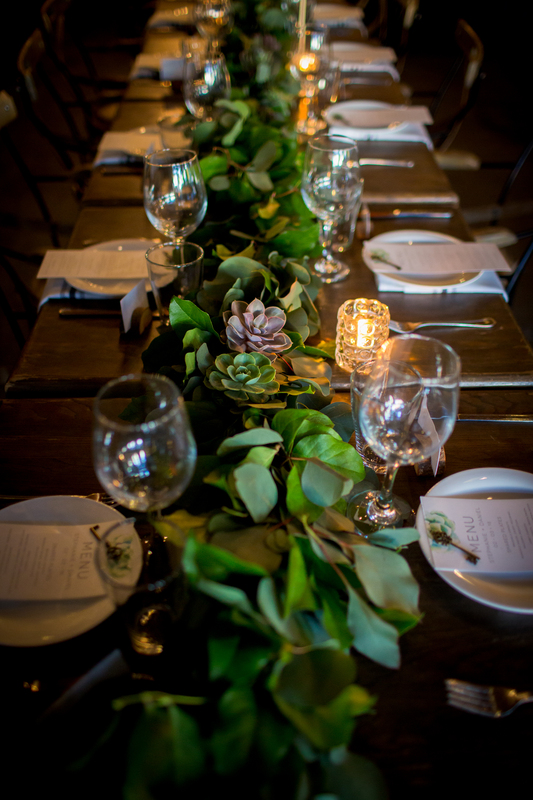 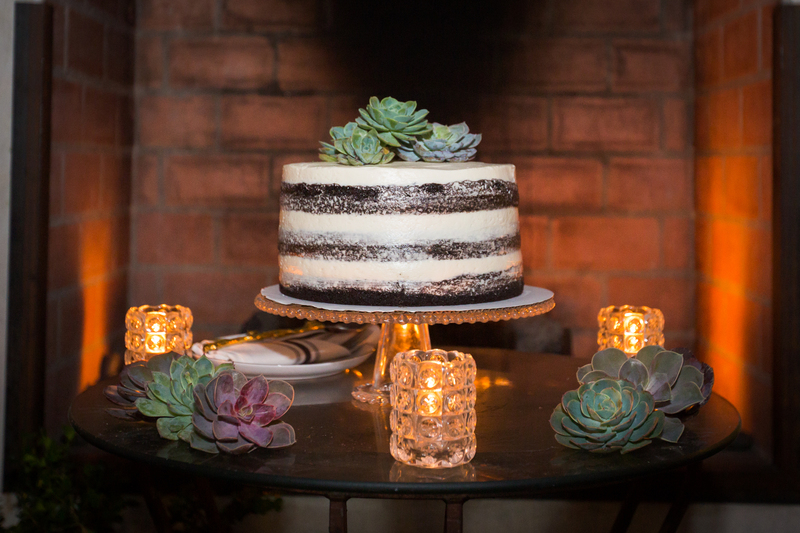 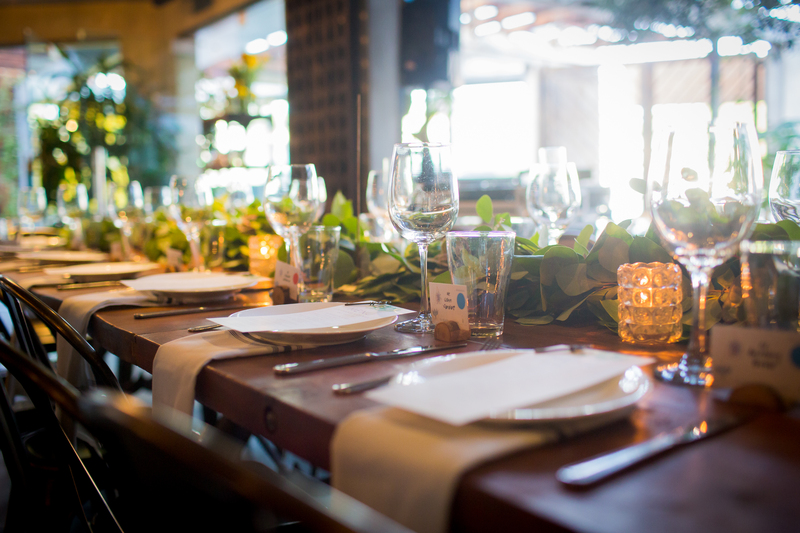 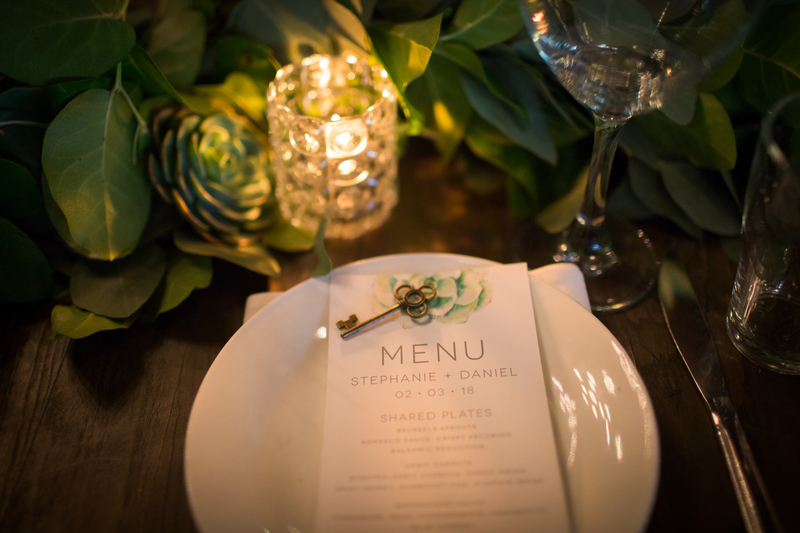 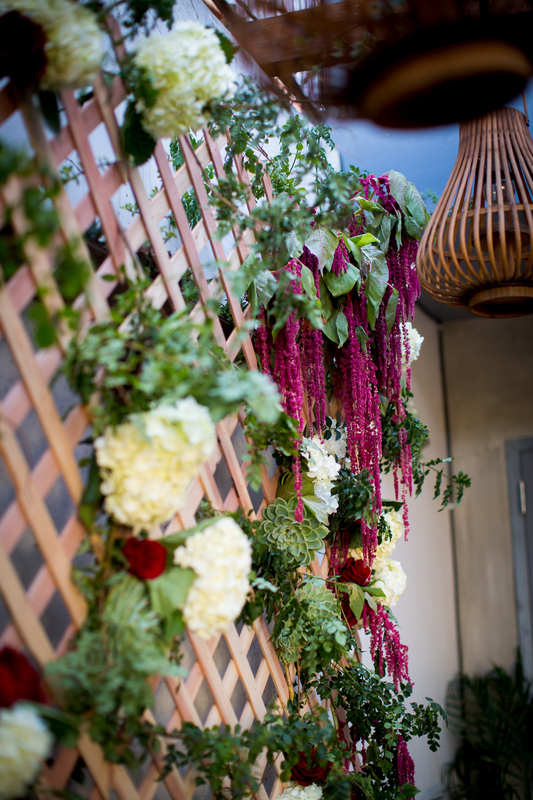 The naked-style cake was topped with succulents that coordinated perfectly with the table settings and menus. 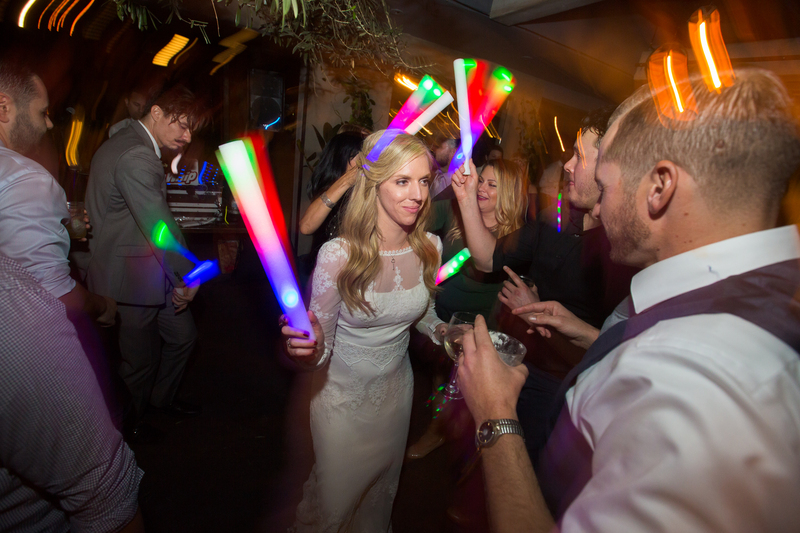 After the cake cutting, the guests celebrated by dancing and waving around glow sticks to end the evening. 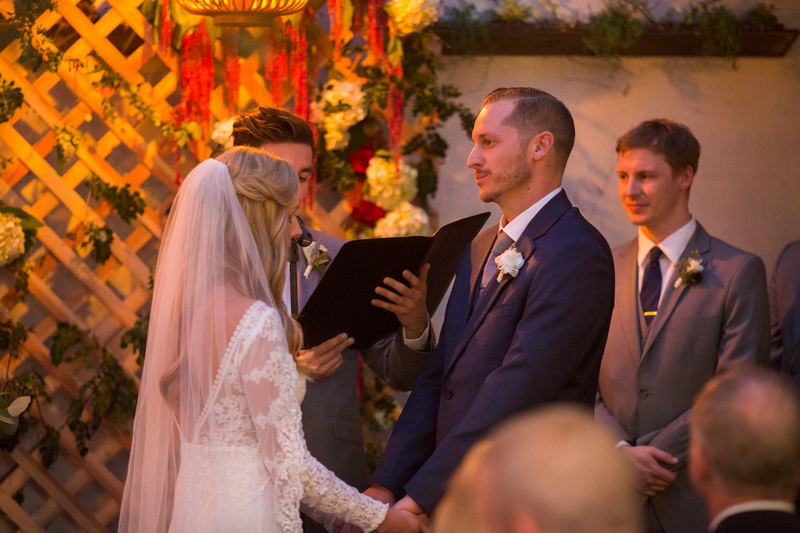 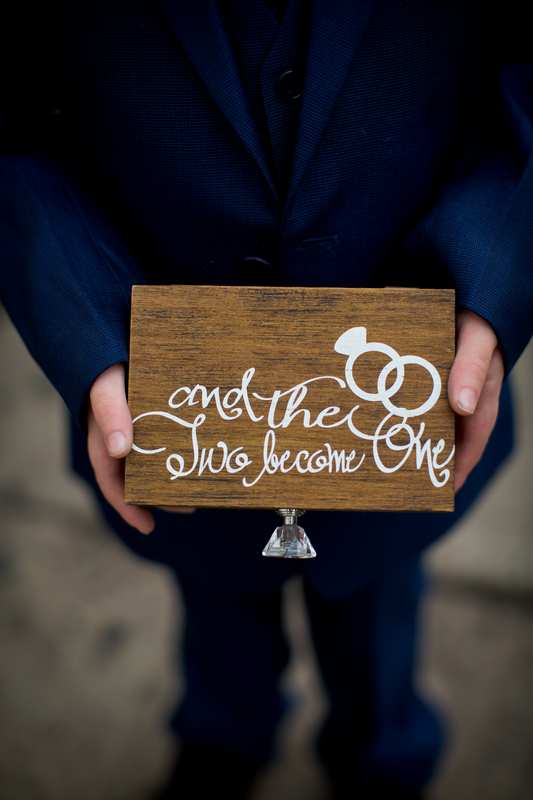 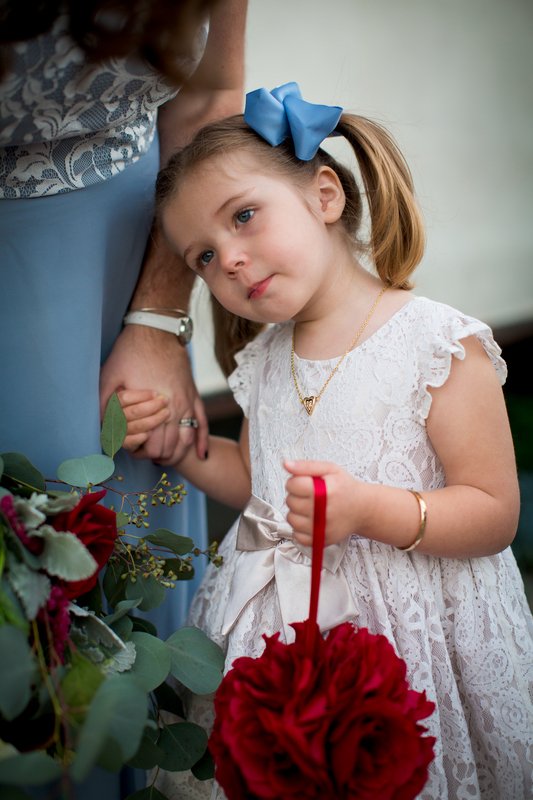 Keep scrolling to see more photos from the wedding!